IT is SiN’s opinion that the term ‘farcical’ might just creep into the general discourse around a senate inquiry when much of a session is dominated by the inquiry’s architect busting attendee’s testicles. The session in question took place when the Senate Economics References Committee’s Inquiry into Insolvency in the Construction Industry rolled into Sydney. 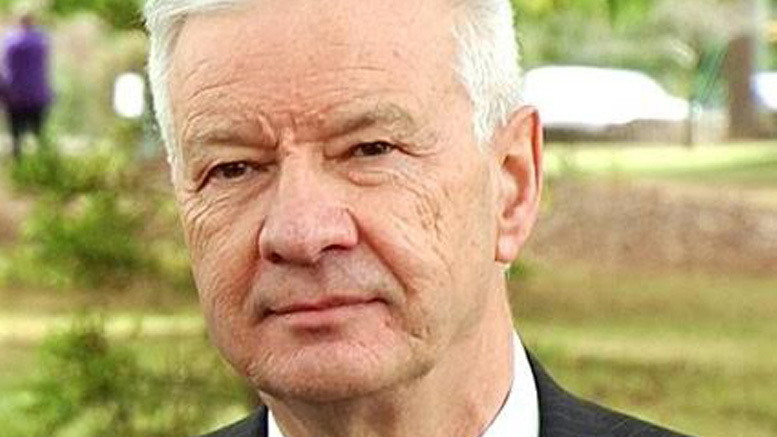 Leftwing Senator and unionist Doug Cameron, who is driving the inquiry, did the busting; Senator Sam Dastyari acquitted himself as chairman except when walking around with his shirt hanging out discussing travel arrangements with staff; South Australian Senator Sean Edwards mostly listened and Senator John ‘Wacka’ Williams didn’t show. Those subjected to Cameron’s McCarthyist fervour included a pair of execs from credit reference agency Veda Advantage, the chief executive of the Australian Restructuring Insolvency and Turnaround Association (ARITA) and various commissioners and deputies from the Australian Securities and Investments Commission (ASIC) and the Australian Tax Office (ATO). The inquiry is focussed on addressing phoenix activity in the construction sector, which has been estimated to cost the economy as much as $3 billion annually and Cameron told ARITA chief executive John Winter that liquidators are a big part of the problem. Cameron: “From reading the ASIC submission, listening to your submission and reading your submission, we have a bit of a blameathon going on. The ASIC submission is pretty clear that you guys—well, not you guys but some of your members—do not come to this with clean hands. On page 27 of the ASIC submission they say that unscrupulous liquidators ‘can and do facilitate illegal phoenix activity’. Is that correct? Cameron however, wanted to know about ARITA’s role in removing “this stain on your profession” and was not satisfied when told that the answer lay in more effective enforcement of existing laws. Winter countered by referring to the disparity between the 18,200 odd breaches of corporations law by company directors reported to ASIC by liquidators per annum and the 20 or so instances of ASIC acting on those reported breaches. But Cameron didn’t want to hear about ASIC not doing its job. “ASIC’s criticism of liquidators, I think, is pretty damning. If you have members who are advising directors or office holders how to fraudulently remove assets from one company to another, shouldn’t they be stripped of their membership, at least? But getting Cameron to understand that 25 percent of registered liquidators are not members of ARITA and are therefore not subject to its Code of Conduct proved difficult. It went on, veering at one point into ideological territory, with Winter explaining to Cameron that there needed to be some proportion of businesses always failing so as to ensure an efficient allocation of capital in the marketplace. Capitalism had been invoked. Cameron: “Businesses need to fail for a proper allocation of capital? Cameron: “You must concede that the theoretical arguments really are not much help for the workers who lose their jobs, are they? The exchange of pleasantries concluded with Cameron asking at what point was it a party’s moral responsibility to advise regulators that a problem might potentially be a crime. ” …you know that there is a Waltons type problem that is going to affect thousands of families and hundreds of businesses across the country. NAB knows there is a problem and takes steps to fix its position. When does an obligation arise for NAB or any other organisation to advise the regulators or the police of a problem? Winter reminding the senator of the existence of privacy laws. Some might think it surprising that an ALP stalwart would want to raise the issue of ‘moral responsibility’ and disclosure, given the welter of undisclosed chicanery emerging from the Royal Commission into union corruption. Perhaps the senator believes the best way to ensure the phoenix phenomenon isn’t overlooked is by excoriating the insolvency profession and the banks in a very public forum. Worth a try? The following day the inquiry headed to Melbourne where several of the former liquidators of Walton Construction appeared. SiN will serve further tidbits from the transcripts as the inquiry completes its report ahead of the scheduled publication date of December 3, 2015. Be the first to comment on "Tidbits from the transcripts – Cameron slams liquidators at construction inquiry"